In 2017, the Packers got off to a hot start and were on their way to another playoff appearance. With the franchise going down with an injury and the team not having a capable back-up, they limped their way to a 7-9 finish and missing the playoffs for the first time since 2008. Training camp kicks off in a week. We will have plenty of time to discuss position battles, who will make the roster, any injuries, and more. 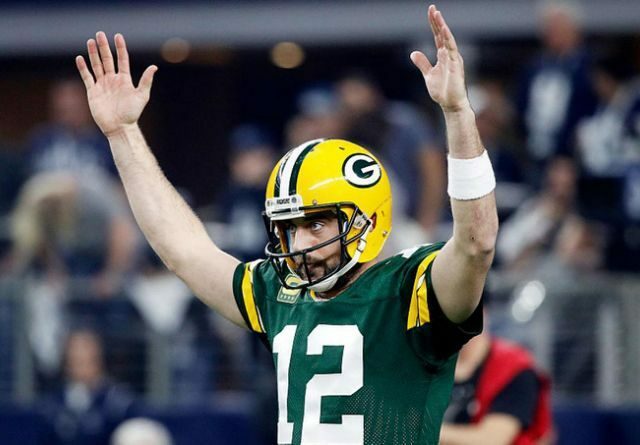 For right now, I wanted to take some time and discuss 3 reasons why the Packers will return to the playoffs this season. The franchise is healthy and returns. They were 4-1 before a hit by Anthony Barr of the Minnesota Vikings ended his season. It’s no secret to anyone, the Packers go as far as Rodgers will take them. Outside of Tom Brady, he is the one player in the league whose presence on the field keeps the team as a perennial Super Bowl Contender. Rodgers will be hungry, the team will have youthful talent, and the veterans will be motivated. There were many changes in Titletown this offseason. Besides Ted Thompson stepping aside, there was none that put a bigger smile on the face of Packer fans than Dom Capers being fired. Than fan base of endured their share of heart-breaking playoff losses, regular season losses, lack luster player engagement, players out of position, and the list goes on. McCarthy replaced Capers with former New York Jets defensive coordinator and Cleveland Browns head coach Mike Pettine. Who played a key role in adding free-agent defensive behemoth Muhammad Wilkerson. Mike Pettine is going to bring much needed change to the defensive side of the ball that desperately needs it. Plus, he will bring a scheme, and new creative ideas that the offensive may not see coming. The Packers don’t need a #1 defensive, they just need a top 15 or top 10 defensive that is opportunistic and can get off the field on 3rd downs to give Rodgers a fighting chance so it’s not all on his shoulders. For arguably the first time in Rodgers career the front office has put together a backfield that is deep and talented. Ty Montgomery is returning from an injury riddled season. He is the most experienced by may have the lightest workload as the season goes on at the position, as McCarthy could get creative with him and split him out wide. Jamaal Williams and Aaron Jones are a pair of second year players who flashed promise last year that they could share the workload and take the pressure of Rodgers when needed. Especially, in December when running the football becomes more crucial. The running game won’t be tops in the league, but the depth is there to give the team a reliable ground game and keep the defenses honest. It’s a long season and a lot has to go right, but if Rodgers stays healthy, has a running game behind him, and the defense is improved, there is no reason this team can’t return to the playoffs this season. This entry was posted in Anthony Haag, Packers 2018-2019 Season and tagged 2018 NFL season, Aaron Rodgers, Green Bay Packers, mike mccarthy, Mike Pettine. Bookmark the permalink. Obviously, if Rodgers is healthy and stays protected, our offense is going to be one of the best in the NFL. The Top 5 offenses all made the playoff and the Super Bowl featured #2 and #3. We have quality weapons at every skill position, and we finally have that All-World TE that we keep saying we need. So…yeah….if we can just keep Rodgers protected we’ve got a real good chance at the playoffs. I know that the saying is Defense wins Championships, but Offense gets you into the playoffs. Unless you’re Detroit. There are two years left in a decade that was to be a Packer dynasty and here we are talking about why they’ll make the playoffs. It’s Super Bowl or bust the next two seasons and nothing less can be deemed successful. I’d encourage you to reset your parameters. We’ve just ended the longest run of playoff appearances in franchise history. The 15-1 season was our best ever. Here’s the deal: If you win your division, you get a home playoff game, and that does wonders for the bottom line. If you win that, you’re only a couple of wins away and the bounce of the ball, the official’s call, key injuries, etc. all factor in whoever wins it all. Our offensive line scares me when it comes to the back ups needing to play. I really wish Spriggs finally learns his position. Bulaga will probably not be available the entire season.